In the book The Blind Side, author Michael Lewis recounts how professional football star Michael Oher defies the odds and escapes from an inner-city Memphis ghetto, finds a family to take him in, and uses his football skills to build a better life for himself. In 2013, Michael's story was made into a major motion picture. 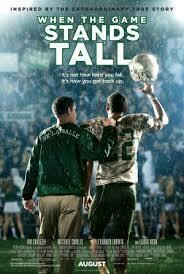 Naturally, sports stories make fantastic films. The books in this list are represented in film, and reflect the same tense drama, excitement, and noteworthy themes that make their stories memorable. 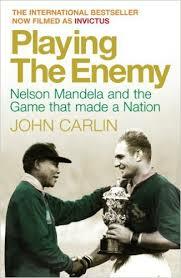 Describes how the 1995 rugby World Cup helped Nelson Mandela unite the country of South Africa and bring about the end to the country's apartheid and bitter racial tensions. Made into the movie Invictus. 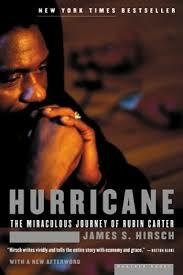 Chronicles Rubin Carter's twenty-year imprisonment, discussing why he was accused of three murders he did not commit, how racial issues affected the outcome of his trial, how he earned the support of celebrities, and why a group of Canadians decided to help him prove his innocence. A behind the scenes look at De La Salle High School, where coaching legend Bob Ladouceur led his football team to a historic 13-year run of consecutive wins. Besides an exciting sports story, we also learn how a good coach positively shapes young athletes.